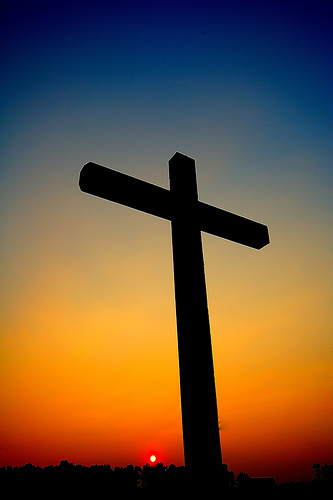 One of the things that Christians focus on during Lent is what Jesus did for us on the cross. The word redeem is one of the most important words in the New Testament. The reason is Jesus redeemed us when he died on the cross. This is a very powerful image of this word. We need to take a look at the cultural background on this word. Once again I learned the background of this word during reading my devotion. In the New Testament slave were costly. At the slave market the people who wanted to buy a slave would have time to look over the slave. They could open the mouth of the slave to check their teeth; even beat them to see how much abuse a slave could take. It was a way to make sure the slave owner was getting a strong slave. As the slave owner looked over the slave the auctioneer would watch over the slave owners because he could raise the price on the slaves. He knew that he could get a higher price for the slaves that slave owners were really interested in. All of these images are contained in the word “redemption” which comes from the Greek word lutroo. λυτρόω This is the word used in Titus 2:14, where Paul says “who gave himself for us to redeem us from all wickedness.” The Greek ward depicts a person who paid a very high price to obtain the slave of his choice. When the slave owner handed over his money for the slave, the slave became his property. When Jesus died on the cross he paid the price to make us his own.